Glass Pool Fencing provides a un obstructed clear view of the surrounding areas around your pool. 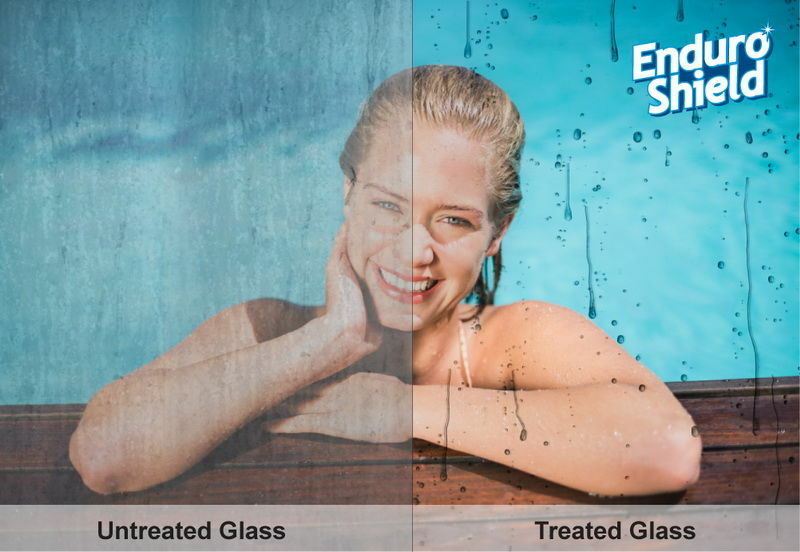 Contamination of the glass can very easily occur with chemical, salt and hard water making the glass look un-sightly and difficult to clean. 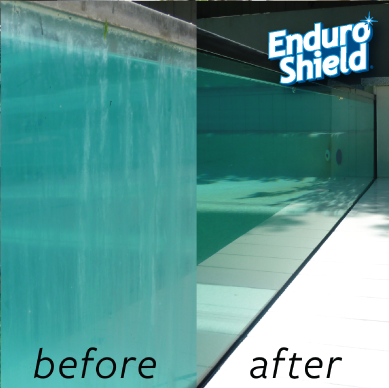 The glass restoration and EnduroShield process is well below the replacement cost and without removing the panels makes your pool safe.